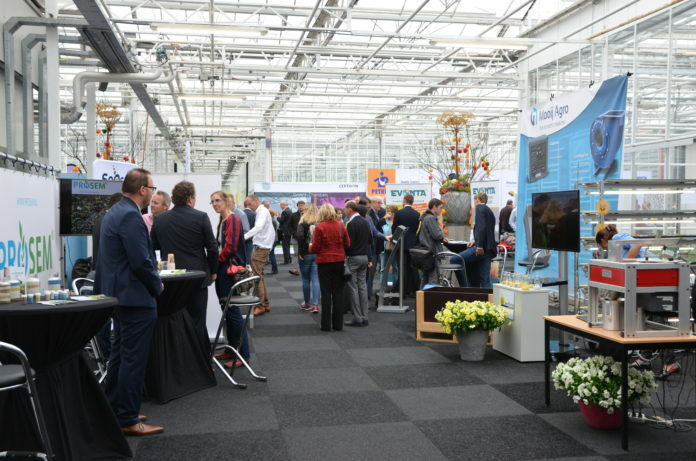 The Seed meets Technology event will kick off its fifth edition from 25 to 27 September 2018 (week 39) in Seed Valley. This year’s highlight is the symposium titled ‘The future of seed treatment – is there a threat for treatment?’ with speakers from Limagrain and Ctgb, among others. The main theme is the reduction in seed treatments and the vision on it from a perspective of technology, seed companies and regulations. Growth The aim of the event is to be a meeting point for visitors and companies from Seed Valley and beyond. Seed companies that do not organise open days themselves are welcome to show their machines, services and new varieties on the exhibition floor or trial fields. The objective of the event is also for companies to show their products on their stands. In addition, the programme is focussing on keeping visitors abreast of new innovations and projects. After starting in 2014 with 15 participants, the event is now 4 times bigger and the number of participants has risen to almost 50. The event attracts more than 1,700 visitors from all over the world. Programme In the coming edition, many participants are organising their own meetings on various subjects. Volkmann, for example, is giving a lecture about the transport of seeds, and Seed-X is organising a meeting about increasing the breeding probability and shortening the breeding time. Amphasys will be focusing on improved seed yield and prediction by monitoring pollen quality in its meeting, while Incotec will be looking at big data and deep learning.